The town of Guanica is located on the southern coast of Puerto Rico and is home to around 9,000 permanent residents. 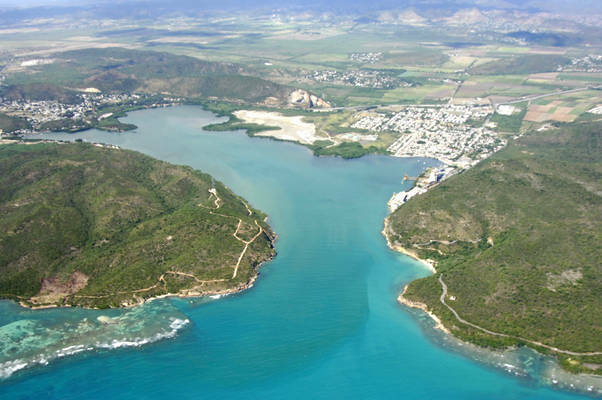 One of two towns that share the local harbor (Ensenada is located farther west in Guanica Bay), Guanica is located in the Guanica region of Puerto Rico about 20 miles west of Ponce and 19 miles east of Cabo Rojo. A secluded and lovely set of islands known locally as Gilligans Island are close by to the southeast (and also covered in our Puerto Rico Overview section). This area requires only a short 4-mile journey, and there is an excellent anchorage near Punta Bellena. Many people agree that Guanica was the first place that Christopher Columbus landed during his second exploration of the New World in 1943. The Punta Messa Lighthouse (132 feet high; flashing white every 6 seconds) is located on the east side of the inlet to Guanica Bay and can help lead you in from far offshore. From close in, flashing red 2 is the first marker to pick up on your approach to Guanica. 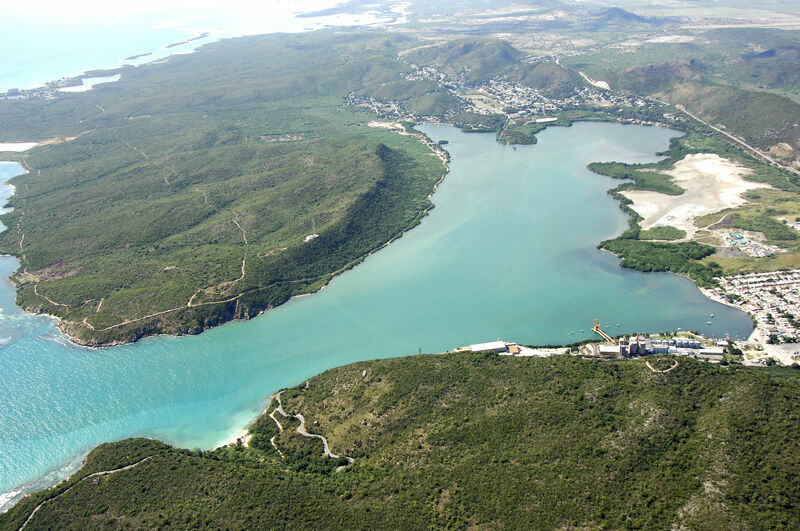 Once you have cleared flashing red 2, head farther north to intercept flashing green 3 and flashing red 4 northeast of Punta Brea, and then set a course for flashing red 5, which will put you square in the middle of the inlet to Guanica Bay. 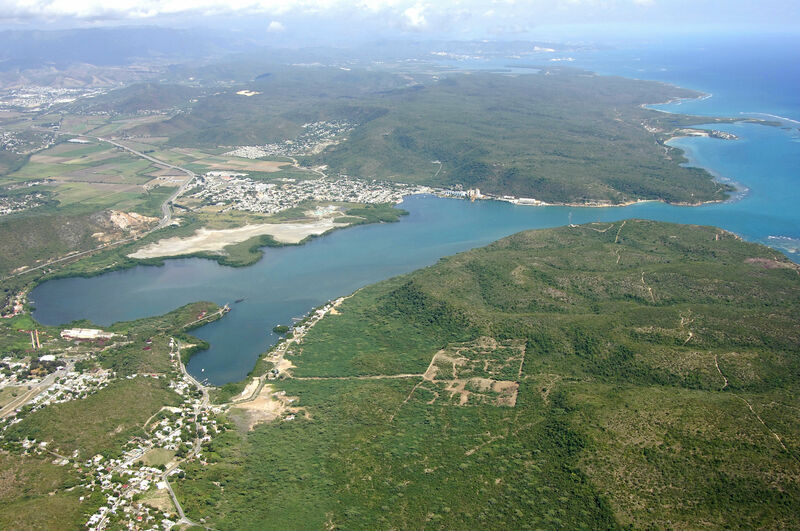 The town of Guanica is located to starboard on entry and there is an anchorage off the town waterfront. In town are many fine restaurants, fish markets, produce stands, and other possibilities for stocking the galley. No reviews yet! 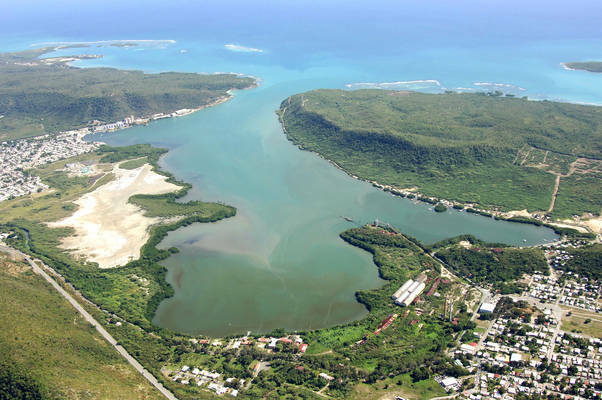 Be the first to write a review of Guanica.